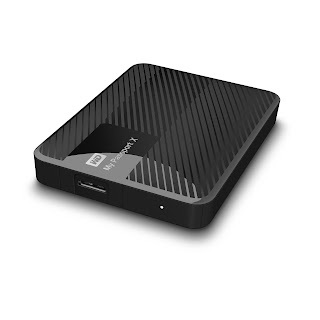 Mumbai, July 15, 2015: WD®, a Western Digital company, and world leader in storage solutions, today introduced the availability of My Passport® X portable hard drive for gamers on Amazon.in. When connected to Xbox One™ or a PC, the sleek 2 TB My Passport X drive provides much-needed storage capacity for gamers to store up to 50 extra game titles1, eliminating the need to delete previously purchased games from their Xbox One console or PC hard drives and removing those “storage full” warning messages while so players can get back to their games. In addition to the added storage, gamers can use My Passport X to take saved games to use on friends’ systems2 without having to re-download. The USB 3.0 technology lets users access and save files on the My Passport X portable hard drive in blazing-fast speed without a separate power supply. The My Passport X portable drive’s stylish and compact design is also built for durability and shock tolerance, as well as long-term reliability for peace of mind. In addition, the drive offers gamers no-sweat set-up – they just plug it in, follow the easy on-screen instructions and enjoy expanded storage for backing up, protecting and storing games and content in just minutes. My Passport X 2 TB portable drive is available on Amazon.in for approximately INR 8,715 approximately and WD will offer a 2-years’ limited regional warranty. Terms and conditions of WD’s limited warranty may be found at support.wdc.com/warranty. Western Digital, WD, the WD logo and My Passport are registered trademarks in the U.S. and other countries. Xbox Live and Xbox One are registered trademarks or trademarks of Microsoft Corporation in the United States and/or other countries. The My Passport X drive is not endorsed by Microsoft. Other marks may be mentioned herein that belong to other companies. Drive formatting is required to work specifically with Xbox One or PC; My Passport X will not work with both platforms simultaneously. Pictures shown may vary from actual products. Product specifications subject to change without notice. As used for storage capacity, one terabyte (TB) = one trillion bytes. Total accessible capacity varies depending on operating environment.